This mic is in PHENOMENAL shape. Great microphone that is built like a tank. Has bag and clip with it. Free shipping! Thanks for looking! 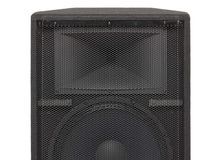 Fishman SA220 Solo Performance PA System! Sounds great! Comes with a nice carry bag! Any questions please let us know! Thank you for checking us out!